On a wind-swept April afternoon, Jonathan Sack paused for a moment to stare at the waves lapping against the limestone cliff below. The mistral was blowing, as it often does in the seaside town of Cassis, tucked tight against the Mediterranean. 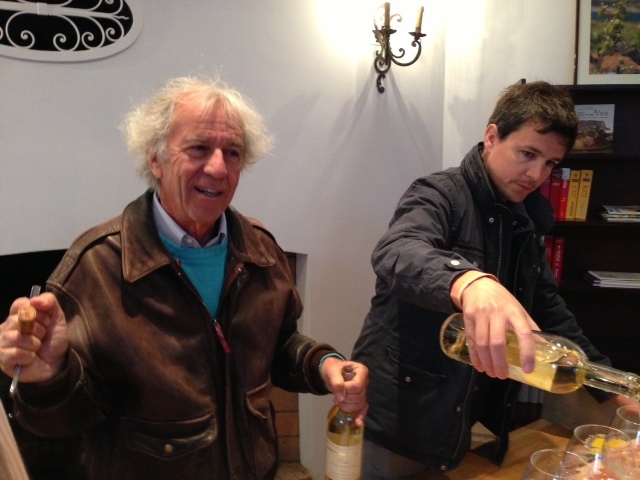 At 36 years old, Sack had come home to take over the winemaking at Clos Sainte Magdeleine from his father, François. The Japanese tourists who had just completed a tasting with Jonathan didn’t say much. There was a language barrier, and anyway, they were taking in the surroundings. Commentary would have been superfluous, so Jonathan stood against the old metal fence and listened. Another wave came in, clapped softly against the rocks, and began the journey back to sea. Around here, even when things change, nothing really does. 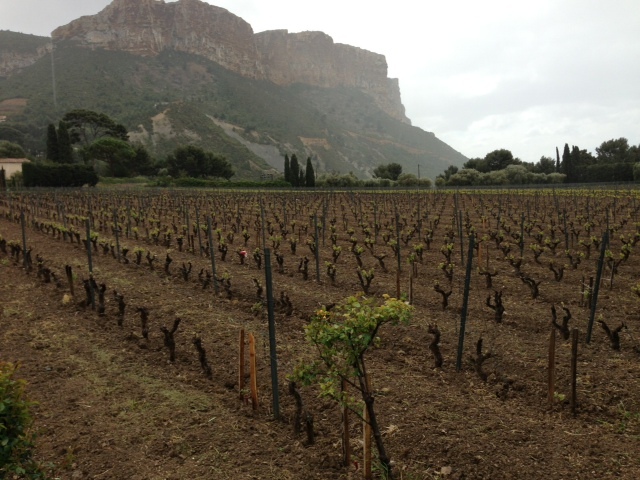 Customers of Clos Sainte Magdeleine can be forgiven if they perceive rather dramatic changes, however. This historic Provençal estate, owned by the Sack family since 1921, has seen decades of steadiness. François has kept production around 5,000 cases annually, three-quarters of which is their white; the rest is rosé. The wines, wonderfully suited to the local specialty dish bouillabaisse, have been remarkably consistent. Since taking over, Jonathan has chosen to take some risks. “You have something very good, and the goal is to make something even better in fifteen or twenty years,” he said. To do that, Jonathan made a significant change in his first solo vintage, 2011, which happens to be Clos Sainte Magdeleine’s current release. Under Jonathan’s direction, Clos Sainte Magdeleine stopped putting the white wine through malolactic fermentation. He advocated for the change in 2008, which is when he returned home to train alongside his father. Jonathan had spent five years working in Paris in real estate. His training in wine is entirely “empirique,” as he puts it — empirical, learning by observation with no formal training. It’s an older model of education, relying more on feel than book learning. Jonathan has been taught to trust his instincts, and his instincts told him the wine needed a shift in direction, starting with the acidity. Malolactic fermentation is a conversion of the sharper malic acid into the softer lactic acid. 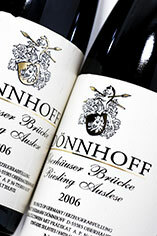 That allows the wine to gain richer, broader texture. 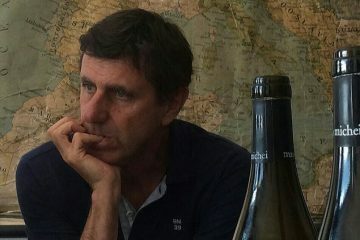 The most vocal supporter of this style has been Clos Sainte Magdeleine’s “most important client,” according to the Sack family: wine importer Kermit Lynch. In 1988, Lynch featured Clos Sainte Magdeleine in his book Adventures on the Wine Route. The Sack family, one of the few in Cassis to export, became darlings of the wine cognoscenti. Lynch touted the importance of malolactic fermentation, saying it provided a balance of freshness and richness. Jonathan came home and found that the wines were a little fat for his taste, and were losing a bit of what made them special: acidity and minerality. 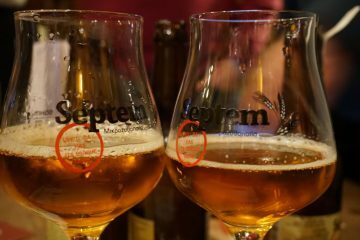 The change in technique is designed to create a crisper, more precise white wine. Clos Sainte Magdeleine’s white is a blend of Marsanne, Ugni Blanc, Clairette, and Bourbelenc; it’s a combination that produces vivid natural acidity. The vineyards stand just a few paces from a vertiginous drop into the sea, with sun-bleached limestone cliffs providing the basis for a crunchy minerality that can be evocative of the salty air. Jonathan views this pairing of acidity and minerality as the terroir of Clos Sainte Magdeleine, and he wanted to make sure it was preserved in the finished wine. In order to provide the richness for which Clos Sainte Magdeleine is known, Sack decided to keep the wine on the lees for an extended period. Leaving the wine in contact with winemaking sediment — dead yeast, for example — adds a richer texture, if not as much as the process of malolactic fermentation. There are other changes afoot on this breathtaking piece of land. The Sacks planted Vermentino on the property’s upper terrace, and Jonathan expects the vines to produce wine-worthy grapes by 2018. He believes this variety will add yet another dimension to Clos Sainte Magdeleine’s already unique mélange. 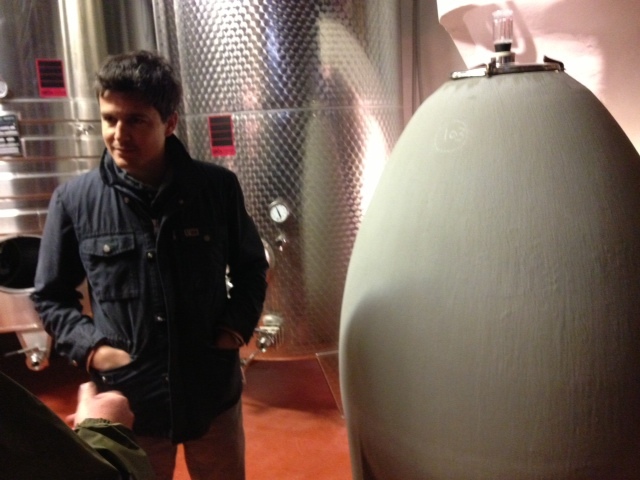 Underground, the winery glistens with new stainless steel tanks, and there is a new cement egg for aging wines. Jonathan is experimenting with the cement vessel to find out if it will alter the mouthfeel of the resulting whites. François, 69, is retired, but Jonathan enjoys tugging his father along on trips around the globe. On a recent trip to the west coast of the United States, father and son hosted a Provençal-themed dinner in Portland. 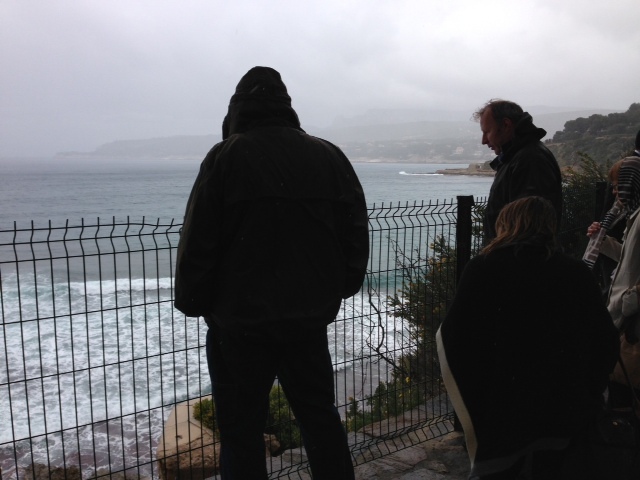 “We want the world to know what we’re doing in Cassis,” Jonathan said. “My father never pressured me to do this,” Jonathan said. “There was never an obligation. It’s a hard job, and you must truly want it. It’s a legacy, so it’s a pleasure to continue that and try to improve, but it’s not an obligation.” Jonathan will assume ownership of the estate alongside his brother and sister. His brother will assist in the marketing. As another group of tourists made their way from the tasting room toward the sea, François hopped up to join them. He smiled again, this time offering the look of a man who understands just how special his home is. Jonathan, more stoic than his dad, seems to understand as well. He talks often about respect for his family, respect for the land. Yet another group was arriving in the tasting room, and Jonathan stole one more look at the sea before heading inside to greet them. He’ll make his changes, but on the cliffs of Cassis, Jonathan believes the land has the final say.